These asana (postures) involve learning how to focus on the centre of gravity in the body, gaining co-ordination and well, strangely enough, ‘’balance’’ in the body. They work on the physical level, stimulating those parts of the brain and nervous system concerned with balancing (eg eyes, cerebellum) and they also work on the psychological level. 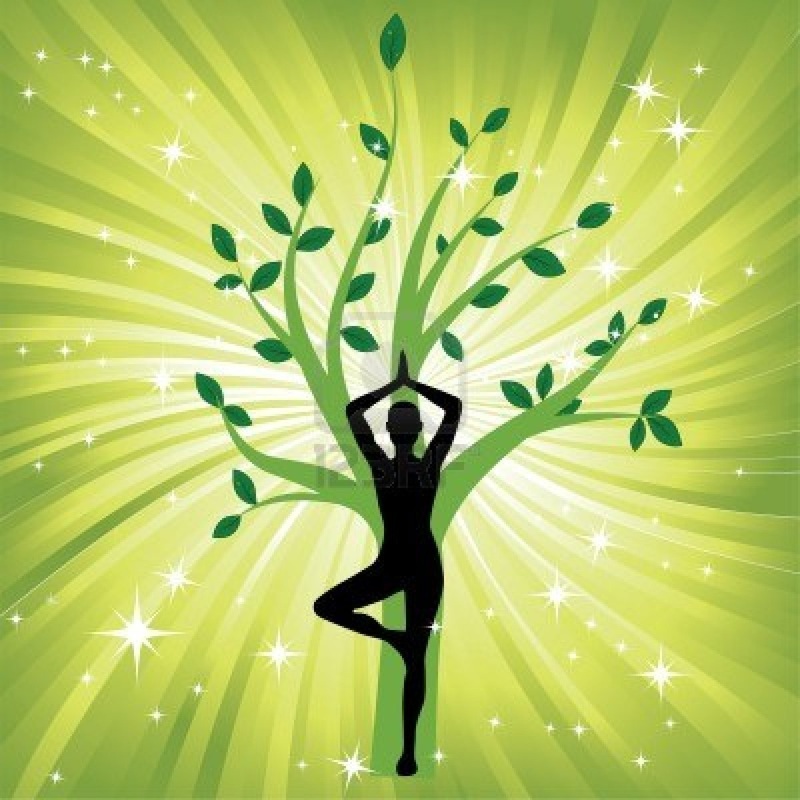 Regular practice of balancing asana can help induce emotional and mental balance. This psychological effect results from the calm concentration and focus required during practice of these asana. This induces a one-pointed state of mind, which helps alleviate anxiety, stress and scattered thinking. The point in the body where one generally focuses during balancing asana is called the Dan Tien in eastern martial arts. It is a point about two inches below the navel. Other psychic centres may also be stimulated by various balancing asana, but initially to acquire the steadiness, be aware of Dan Tien. You will simultaneously be aware of an external reference point. This will be a point at eye level on the wall in front of you, or a point a few feet away from you on the floor. Note that focussing on points above eye level can make balancing more difficult, but then again they can also be used to challenge yourself when you find balancing easier. When you shift the weight of your body to one foot or the other, you may/will notice slight differences in capacity on one side of the body or the other. It may be easier for you to maintain balance on your left foot, than on your right, for example. It is interesting to note this, and any alterations that occur over time. The Left side of the body is the feminine side, the receptive, passive, yin side, and the Right side is correspondingly male ~ active, generative, etc. It can be interesting to note which side of the brain is operating or is generally more dominant. Note : left side of body corresponds to right side of brain and vice versa. Stand in your bare feet on an even surface. Feet hip distance apart. Spread the toes and feel the solid connection to the floor. Rooted and stable. Bend very slightly behind the knees. Zip up the muscles from the pubic bone to the navel about 25% of their capacity to contract back towards the spine. This holds your core strength in place. Shoulders relaxed down away from the ears. Feel as if a silvery thread connects from the top of your head to the ceiling and gives you a feeling of being lengthened gracefully upwards. Be comfortable. Join your hands in front of chest in prayer pose. Have space between chest and hands. Elbows out to the sides. A bit of space under the arm-pits (A traditional way of describing this space is to imagine there is an apple in each armpit ) Shoulders relaxed down away from the ears. Open eyes. Focus on a point on the wall or surface in front of you. Make your gaze steady. At the same time be aware of your body breathing and feel that this breath is moving in and out of the lower abdomen, specifically in and out at the point two inches below your navel (Dan Tien). Consciously shift all the weight of your body to the right foot. Realign with awareness. The left foot remains lightly in touch with the floor. Adapt. Place the left foot on top of the right foot, so that no part of the left foot touches the ground. Hold this position, breathing calmly and steadily, for a few minutes….maybe count the breaths if you like. 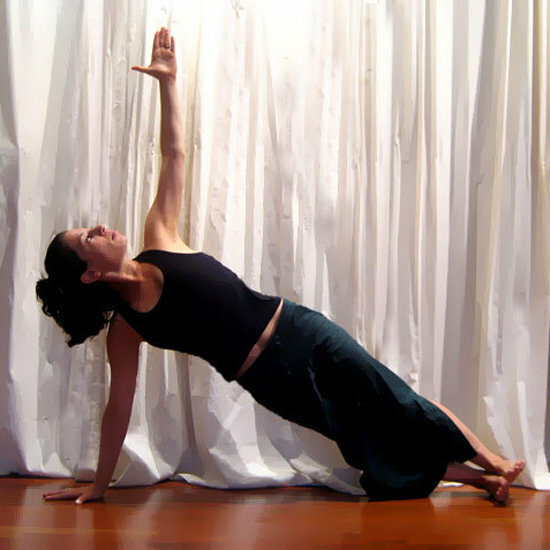 Then shift the position of your arms so that you hold the prayer pose above the head. Adapt your body to the changing dynamics. 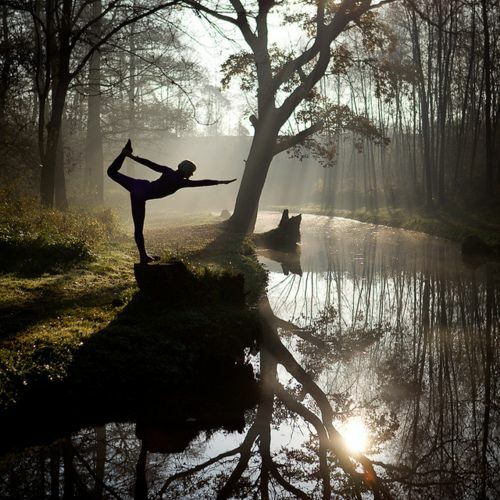 While you practice notice the micro-adjustments your body is constantly making to maintain balance. Especially around your tummy area, and in the legs. Wherever you notice. After a few minutes, bring the left foot to the floor. Balance on both feet. Arms down along sides. Close eyes. Relax body completely. These are the basic instructions you will take with you through any balancing posture, such as the examples that follow. Centre. Focus. Align. Adapt. Breathe. Be Peaceful. If you wobble, wobble with gracious awareness, and then try again. Anyways, there are loads more…..but just to have mentioned a few.